At Locksmith Houston, we provide 24-hour emergency locksmith services to help you when you need it. We are a trusted locksmith company specializing in emergency services for your automobile or residential locks. When you need service, you can rely on us day or night. We understand that situations arise at inopportune times that require an assistance, and as such- we are ready to help 24 hours a day, seven days a week. 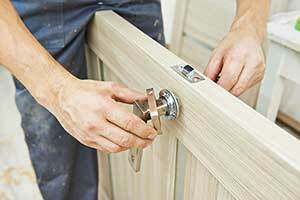 We have experience with all brands and types of locks. We can help with all services, including unlocking doors, making new keys, installing new locks, rekeying existing locks. We offer a complete suite of services to satisfy every need related to any locking mechanism. When you find yourself locked out, you may be tempted to break a window in your car or home to gain access. This will probably end up being much more expensive to repair than having our experts unlock your door. When you call us, we will arrive quickly and get to work to get you back inside as quickly as possible. And you won't have to deal with a broken window! It is never convenient to be locked out of your home or car. It can be especially annoying when it happens in the middle of the night. Our 24 hour mobile locksmith service is ready to help no matter what time of the day or night. We realize that situations that require prompt service arise, and we are ready to provide that quick response when you need it. We can get you into your vehicle or door as soon as possible, so you can get back to your routine. We specialize in lockout service to open your car or home when you need it. We will use every method possible to get you back in to your car or home as quickly as we can. When you need service in a hurry, you can count on our trained emergency locksmiths to provide prompt and reliable service.